Discovery Learning and Fuzzy Math: Will the PISA 2012 Results Signal the Beginning of the End? 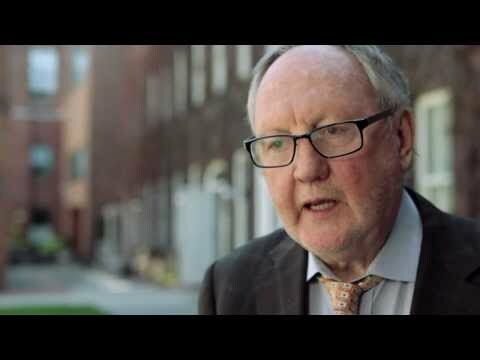 In the OECD’s 2012 Programme for International Assessment (PISA) rankings released December 3, 2013, , Canada dropped out of the top 10 in student mathematics scores, a decline that raised alarms about the country’s future prosperity. Canadian students placed 13th overall in mathematics, down three spots from 2009 and six spots from 2006, in the highly anticipated test conducted every three years and which measures how 15-year-olds around the world are doing in math, reading and science. Canada ranked behind many Asian economies, including Shanghai (China), Singapore, Korea and Japan, while the United States lagged far behind and 36th out of 65 participating countries. The PISA test jolt comes on the heels of declining math scores nationally and a surprisingly poor showing from youth on a recent OECD literacy and numeracy test. The Canadian math curriculum, ushered in over the past decade, catching the blame for lower scores for good reason. Curricula like the Western and Northern Canada Protocol (WNCP) is out-of-sync with high performing Asian countries because it places far more emphasis on real-world concepts than on abstract thinking, standard algorithms, and practice. The accompanying OECD report, in fact, noted that the top performers had more exposure to formal mathematics than word problems. That may explain why Shanghai students topped the rankings and performed three grade levels above those of most other nations. Topping the PISA student performance rankings attracts international acclaim, school system imitators, and increasingly scarce public education dollars. Once reviled by Canadian anti-testing advocates, the PISA test results are –oddly enough –what provides the ammunition for much of what now passes for informed debate over quality, equity, and accountability in Canada’s provincial school systems. They also bred a certain Canadian complacency until the recent release of the 2012 student results. National and provincial reputations now ride on the PISA results. From 2000 to 2006, the PISA test results catapulted Finland’s education system to star status, and that ‘Finnish infatuation,’ essentially swept the Canadian educational establishment off its feet, blinding us to the Quebec’s success in mathematics and Ontario’s progress in improving reading and closing the socio-economic education gap. Between 2000 and 2009, Canada plateaued in overall student performance and Canadian students posted a 10 per cent decline in reading scores. This week’s PISA results confirm that 15-year-old Canadian students, with the execution of those in Quebec, are losing ground, particularly in mathematics. The rise and fall of Alberta, Canada’s former top performing province, contains a few valuable lessons. Two decades ago, Alberta was the first province to really confront the global learning gap, forecasting that, if trends continued, Albertan and Canadian students were going to be left behind. Dr. Joe Freedman, a Red Deer radiologist, and Andrew Nikiforuk, a Calgary-based Globe and Mail columnist, raised the first alarm bells and founded Albertans for Quality Education. In 1991, they convinced the Alberta Chamber of Resources (ACR) and the Conference Board of Canada to produce a truly ground-breaking study, International Comparisons in Education, comparing Alberta math and science curriculum with that in Japan, Germany and Hungary. Alberta’s mathematics and science curriculum was then virtually re-written and bench-marked against that of the top performing nations. Under Education Minister Jim Dinning, the province built its rock solid reputation on raising standards, student testing, school choice and charter schools. While Alberta ranked first on the PISA tests and topped the Pan-Canadian Assessment Programme (PCAP) tests in literacy and science for most of two decades, it has slipped precipitously since 2006. Adopting the WNCP math curriculum with its “discovery learning” focus and the Finnish infatuation have been key factors in the decline. The ‘Finnish solution’ began to lose its lustre after the 2009 PISA test when Finland saw its reading scores drop by 11 per cent. Outside of Canada, education policy analysts have now become far more enamoured with Asian school systems like Shanghai and Korea. None of this seems to matter to Canadian ‘progressives,’ sponsoring a Canadian tour for Finnish education expert Pasi Sahlberg, promoting Finland as the “Global Fourth Way,” and seeking to curtail standardized testing. They are bent on turning back the dreaded “GERM,” the Global Education Reform Movement, supposedly carrying the plague of “neo-liberalism” and its principal strains — higher standards, school choice, and competition in public education. The Alberta Teachers Association (ATA), armed with a 2012 report written by Sahlberg’s North American ally, Andy Hargreaves, now talks of “transforming Alberta education” with “The Fourth Way, “ and is out to dismantle provincial testing, curtail expanded classroom learning time, and block teacher assessment tied to student performance. More recently, the Finnish wave of “personalized learning” has reached British Columbia. 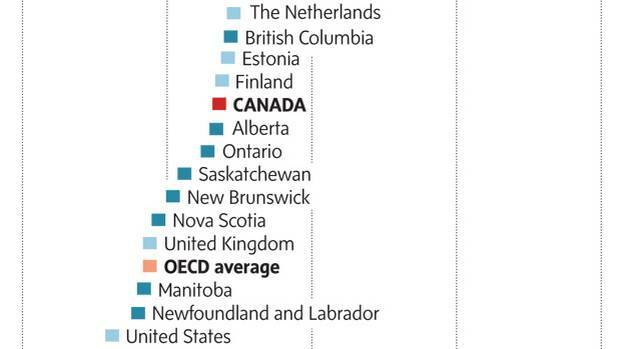 Finland, like Canada, got a jolt from the 2012 PISA test results. That will finally prompt education observers to acknowledge that Finnish education is fuzzy on standards. It is, after all, light on standardized testing, soft on homework, and promotes a “culture of trust” instead of accountability. Looking deeper, Finland is also a “one provider” system with little or no choice for parents, delays the start of school until age 7, and streams students after Grade 9 into two tracks, academic and vocational, based upon arbitrary average-mark cut-offs. The Canadian attraction to “discovery learning” and the rush to abandon standardized testing have both hit a significant bump in the road. In the wake of the 2012 PISA results, Canadians are awakening to the dangers of turning back the clock to the days of ‘accountability-free’ public education. Without PISA and the OECD follow-up research studies we are left almost completely in the dark on critical educational quality issues that matter for students and our public schools. What are the powerful lessons of Canada’s recent decline in PISA test scores? When will Canadian mathematics educators face reality and come to accept the need to develop a more rigorous, soundly-based curriculum providing a solid grounding in the fundamental skills? Will Canada come to accept the need to stop being what Paul Cappon aptly termed “a school that never issues report cards”? And finally, is the real message sinking in?